In addition, eating gluten-free for an athlete can prove troublesome for another reason. An athlete needs an adequate carbohydrate intake for energy, and a majority of the energy is derived from gluten, so when an athlete eliminates gluten from their diet they run the risk of not being able to refuel correctly. Those who cannot eat gluten also run the risk of becoming deficient in vital nutrients if they do not eat correctly. 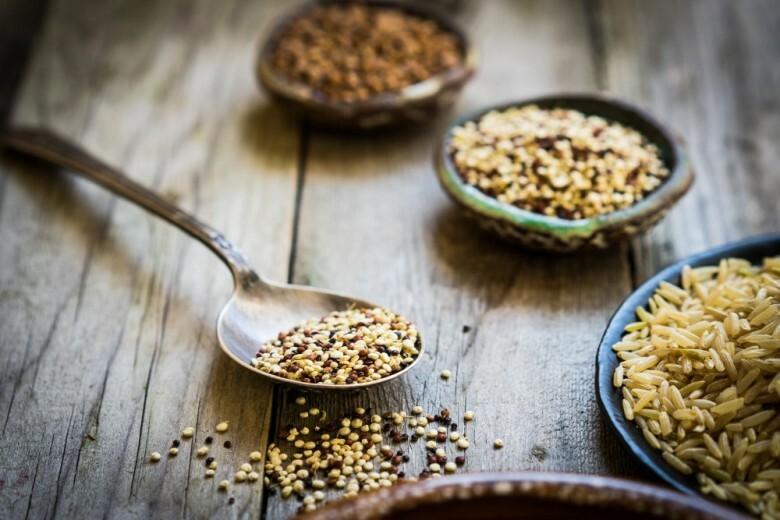 Luckily, there are healthy carbohydrate substitutions to wheat based products and they include beans, quinoa, buckwheat (despite the name it is gluten-free), amaranth, millet, corn, flax seeds, rice, tofu, tapioca, nuts, and potatoes. If you have to eat gluten-free, it doesn’t have to be so hard. May is National Celiac Disease Awareness Month and in recognition, we bring you some delicious gluten free recipes for athletes that will help ensure peak performance on the court. 1. Process all of the liquid ingredients together in a food processor or in a large mixing bowl. 2. Slowly add in the banana, flour, and baking powder. Mix or blend until smooth. 3. Heat up a large frying pan or a griddle over medium heat. Drop a teaspoon of butter on pan or griddle. 4. When the butter sizzles, pour the batter onto pan. Each pancake should be about 2 inches in diameter. 5. When you can see bubbles on the top, turn over the pancakes and continue to fry until golden brown. 2. Toss the fennel with 1 tablespoon olive or coconut oil and 1/4 teaspoon pink salt on a parchment lined baking sheet and arrange in an even layer. 3. Roast until golden brown and caramelized for about 40 minutes, flipping them halfway through. When done, set aside. 4. Meanwhile, in a Dutch oven or medium lidded saucepan, toast the millet over medium heat until it’s golden brown and fragrant. This should take about 5 minutes. 5. Add 2 cups water, but be sure to stand back, as it will sizzle. Bring to a boil. 6. Stir in 1 tablespoon of coconut or olive oil, and place the lid back on. Cook on low heat for 15 minutes. When done, remove from heat and let it sit for 10 minutes. After 10 minutes, remove the lid and fluff with a fork. 7. Add the olives, tomatoes, lemon juice, fennel, and half of the parsley into the pot. Stir to combine. 8. Taste and add more salt as necessary. If your olives and tomatoes didn’t have much juice, add another swig or two of coconut or olive oil. 9. Transfer to a plate or bowl, and garnish with the remaining parsley. Enjoy! 1. Preheat the oven to 475°. 2. Cook the gluten-free pasta according to the directions on the package. Drain and keep warm. 3. Combine the mushrooms, tomatoes, onions, oil, salt and pepper in a bowl. Toss well to coat mushrooms. Arrange mixture in a single layer on the pan. 4. Bake at 475° for 15 minutes. Be sure to turn the vegetables over. 5. Drizzle wine evenly over vegetables and bake for an additional 7 minutes or until vegetables are lightly browned and tender. 6. Combine pasta, vegetables, and peas together in a large bowl. Top with cheese and parsley. 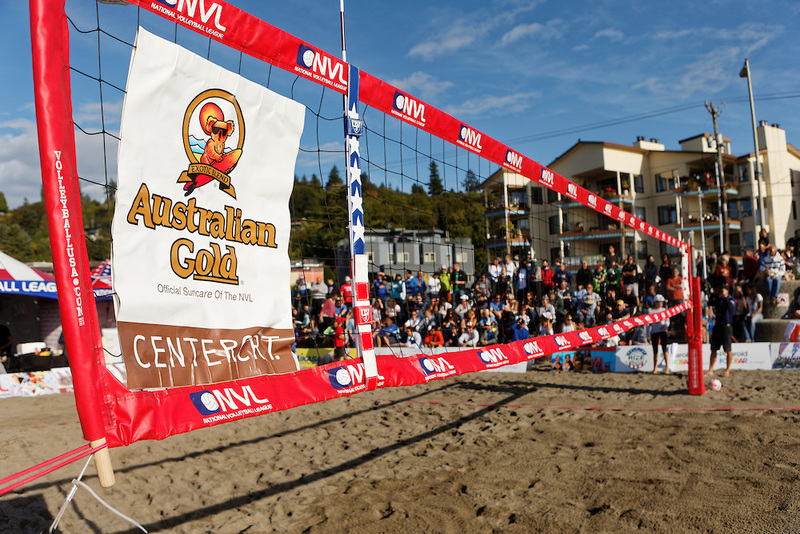 Australian Gold and The NVL Providing Better Beach Volleyball and Better Skin Protection For All!